Also Attending on the day will be a hand picked selection of quality Local Wedding Suppliers including: Bridal Wear, Menswear, Cakes, Stationary, Make-up, Flowers, Chocolate Fountains, Candy cart Photographers DJ’s live Bands, String Quartet, Harpist, Etc and of course on display outside will be the Multi Award Winning Horgans Wedding Cars. 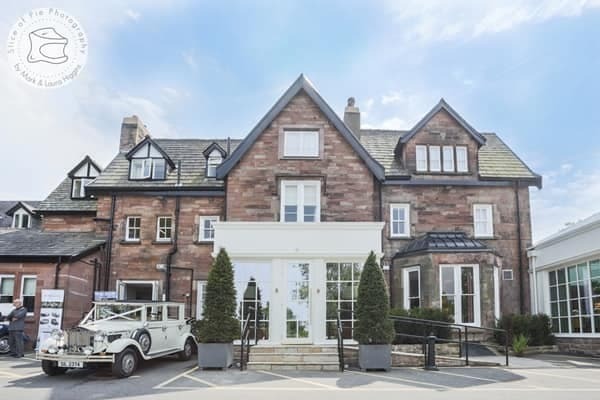 On the day LAURA and the rest of Alderley Edge Hotels professional events team will be on hand to show all prospective brides and grooms around this quality venue, and answer any questions that you may have re your own very special day. At the heart of Alderley Edge Hotel is a friendly team ready to welcome you. You can expect great food, comfortable bedrooms and outstanding hospitality. There are many reasons to visit us, a relaxing Cheshire stay, a cocktail or two in our buzzing new bar area or fantastic food in our contemporary new restaurant. Alderley Edge Hotel Bar & Restaurant is the perfect place to hold your next event. Whether it’s a party for that milestone Birthday, Christening, a Wedding or a Corporate Function, we are here to assist. We are in the perfect Cheshire location and we have a dedicated team ready to ensure your event runs smoothly. Get in touch with the team and get the planning started. Horgans Wedding Limousines offer luxury wedding cars in Cheshire. Travel in the luxury of a bygone era in these beautiful characteristic, classic Beauford, Royale Windsor, Imperial and Regent tourers. On behalf of myself and my wife, I would like to say a big thank you to you and all your team for the service you provided at our wedding. From the moment we booked you to when you dropped us off at our venue the quality of your service has been above and beyond what we expected. So again, thank you for making it a stress free experience and we won't hesitate to recommend you to anyone and everyone that is planning their wedding. Why not travel in elegance and affordable luxury whilst being driven by our chauffeurs wearing their smart 1930s style of uniform. Altrincham, Alderley Edge, Ashton Under Lyne, Bowdon, Bolton, Bollington, Boothstown, Bramhall, Bury, Cheadle. Cheadle Hulme, Chorlton, Congleton, Crewe, Didsbury, Disley, Dunham, Eccles, Ellesmere Port, Flixton, Frodsham, Gatley, Hale, Halebarns, Hazle Grove, Holmes Chapel, Hulme, Irlam, Knutsford, Manchester North and South, Macclesfield, Marple, Middlewich, Mobberley, Mottram, Nantwich, Northwich, Northenden, Oldham, Partington, Poynton, Prestbury, Runcorn, Sale, Salford, Sandbach, Stretford, Stockport, Swinton, Tameside, Tarporley, Timperley, Trafford, Trafford Park, Urmston, Walkden, Warburton, West Didsbury, Whalley Range, Warrington, Wilmslow, Withington, Worsley, Wythenshawe. so we can discuss the requirements for your special day further.